When Vic Firth crafted Keith Moon Signature Series drumsticks, they matched them to the exact specifications that Keith used throughout his career. Needless to say, they can take serious punishment! These sticks feature a unique combination of medium shaft, fast-sloping medium taper, and 15.813" length. Built from hickory with an oval wood tip, Vic Firth Keith Moon Signature Series drumsticks pack the massive punch you'd expect from sticks with this legendary drummer's name on them. 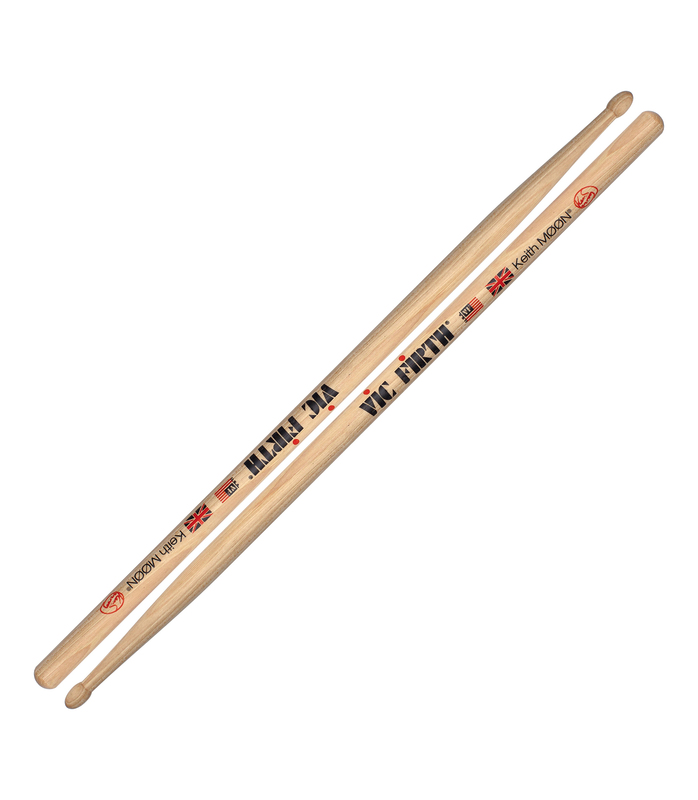 Vic Firth drumsticks are the choice of top players in all kinds of genres. Whether you play rock, jazz, country, pop, or other musical styles, there's a pair of Vic Firth drumsticks made to fit your taste. From their precision manufacturing and matching methods to their amazing product range, Vic Firth offers quality you can depend on, no matter what you play. If you want great sticks at a great price, Sweetwater has plenty of Vic Firth products to choose from. Choose the sticks the pros have been depending on for over four decades - Vic Firth sticks! Skm from Vicfirth is 100% original and brand new. We, at Melody House take pride in our after sales service and support. For further details on the skm, Vicfirth, simply write to us to consult an expert or order online and we will take care of the rest. Happy Shopping!